Military M-65 Field Jackets also known as M-1965 are worn all over the world by Militaries during the Vietnam War & different types of people for all different reasons. The M-65 Field Jacket was pretty much part of the Army Uniform. The Jacket has a quilted jacket liner inside.The Field Jacket can also be used as a Sport Jacket just to stay warm when on the go outside. These M-65 Field Jackets are authentic replicas of the exact same Field Jackets that were worn by the US Military during the Vietnam War. This Military Vintage Uniform is used for many types of activities such as during combat. This Uniform is made from 100% Washed Cotton or Water Repellent Polyester / Cotton Material. 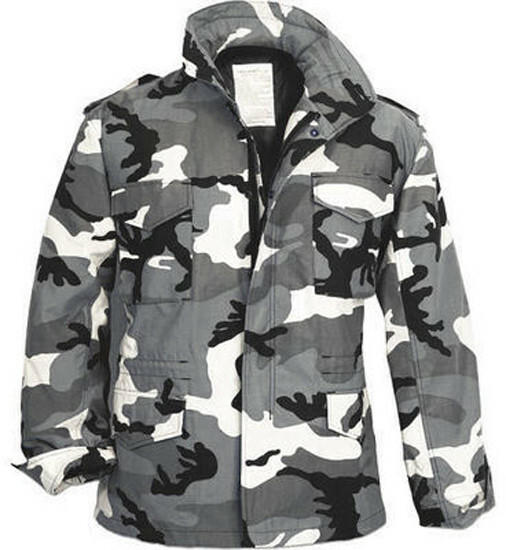 These Jackets are not only worn by Military Personnel, Law Enforcement, or Outdoor Enthusiasts. M-65 Field Jackets are great for anyone who wants a functional, durable, comfortable Outerwear for work or play, but at the same time need to stay warm and dry in cold or rainy weather. 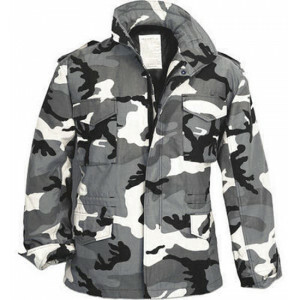 These Field Jackets are perfect for any kind of outdoor activities, fishing, camping, hiking. There are concealed Hoods inside of the color. There are sometimes removable liners inside of the Field Jacket. There are drawstrings on the waist, the hood, and on the bottom of the M-65 Field Jacket so that you can adjust the jacket to whatever is most comfortable. The M-65 Field Jackets were made to fit men but they are Unisex so they may be worn by both a women and a man. Chest measurements are from under armpits from front side to side. Back Length is from shoulder area, going down. All measurements are done in inches. This is a size chart for our M-65 Jackets and not all jackets are available in all these sizes.